Swan Plumbing, Heating & Air is the HVAC and plumbing service provider that Golden, CO, homeowners have trusted for more than 25 years. 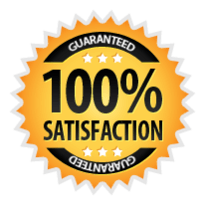 We believe in doing the job correctly the first time, which is why all of our work is backed by a 100 percent satisfaction guarantee. With Swan, you also know that you will get honest pricing with no hidden fees or hourly rates. Our technicians take pride in their work. It is this attention to detail and commitment to quality that allows us to back our work with a 100 percent satisfaction guarantee. We are not satisfied until you are satisfied. Customer service is one of our top priorities, so you can always expect prompt, same-day service. Our technician will provide you with an upfront estimate for your project, so you will know ahead of time exactly how much you will be paying. You will never have to worry about your project going over budget. Or, click here to schedule your Golden plumbing or HVAC service online. An efficient furnace or boiler is essential for keeping your home comfortable during the long winter season. A Swan technician can inspect your furnace or boiler before winter sets in to make sure that it will keep you warm all winter. We are also available 24 hours a day for emergency repairs. If repairs are not feasible, we can recommend and install an appropriate replacement. Or, click here to schedule your Wheat Ridge plumbing or HVAC service online. Swan is happy to help you with your residential plumbing issue no matter how big or small. Whether you need a faucet replaced, a new dishwasher installed, or your whole house repiped, you can count on our licensed, professional plumbers. At Swan, we offer same-day service for most common residential plumbing issues, including clogged drains, overflowing toilets, leaking pipes, toilet repairs, water heater repairs, garbage disposal installations and repairs, sink installations and repiping. You rely on your water heater to provide hot water for everything from showers to washing clothes and dishes. If your water heater is not providing consistent hot water, makes noises, or gives you rust-colored water, it is time to call Swan Plumbing, Heating & Air. We will dispatch a technician to your home the same day to diagnose and repair the problem. Our technicians are trained to work on all makes and models of water heaters, including conventional, tankless, and solar. If repairing your heater would not be cost effective, we will help you choose and install a new, energy-efficient model. Your sump pump plays an important role in protecting your home from moisture problems. If you notice excessive moisture or mold in your basement, it is a sign that your sump pump may be failing. Not only can this affect your family’s health, but it also leaves your home vulnerable to flooding and severe water damage. A Swan technician can repair your sump pump or suggest an appropriate replacement if a repair would not be feasible. Summers can be long and miserable without a reliable air conditioner to keep your home cool and comfortable. Whether you are interested in preventative maintenance to keep your AC in top shape, an emergency repair, or installing a new energy-efficient air conditioner, Swan can help. Our technicians are able to service and install all makes and models of air conditioners. If your AC is cycling on and off too quickly, making strange noises, or failing to keep your house cool, your air conditioning system may be about to fail. Our HVAC technicians are available to diagnose the problem and offer the most cost-effective solutions for getting your AC system back up and running. Swan technicians are trained to service all makes and models of air conditioners and are able to handle a wide range of AC issues, including: problems resulting from a lack of proper maintenance, fan and compressor issues that cause your AC system to shut down or overheat, thermostat and sensor problems than can cause the system to cycle or not turn on, clogs resulting in drainage issues, and refrigerant leaks. It is easy to forget about your air conditioner until it goes out; however, proper maintenance will prolong the lifespan of your system, ensure that it does not fail when you need it most, and help lower your energy bills by improving the efficiency of your system. Swan offers affordable AC maintenance services to homeowners in Golden and the surrounding areas. Our technicians will perform a comprehensive 22-point inspection to make sure that your AC is up for the demands of summer use. If your AC is more than 10 years old, upgrading to a new energy-efficient system may lower your cooling costs by as much as 20 percent. With proper maintenance, an AC system can last as long as 15 years; however, if your system is more than 10 years old, installing a new system can reduce the likelihood of costly repairs or that your system will fail and leave you sweltering in the summer heat. Other signs indicating that you should consider replacing your AC include: paying for multiple repairs in recent years, your AC has a SEER rating less than 13, or you notice an increase in dust and humidity in your home. The expense and mess of a drain or sewer line backup can be a major headache for any homeowner. Swan Plumbing, Heating & Air can help you prevent backups with our affordable drain and sewer line cleaning, snaking, and scoping services. With one phone call, you can have a highly-trained and experienced plumbing professional at your home to fix any drain or sewer problem that you may have. For more information about our services or to schedule a service call, contact us at 303-993-1406. You can also submit a service request using our convenient online form.